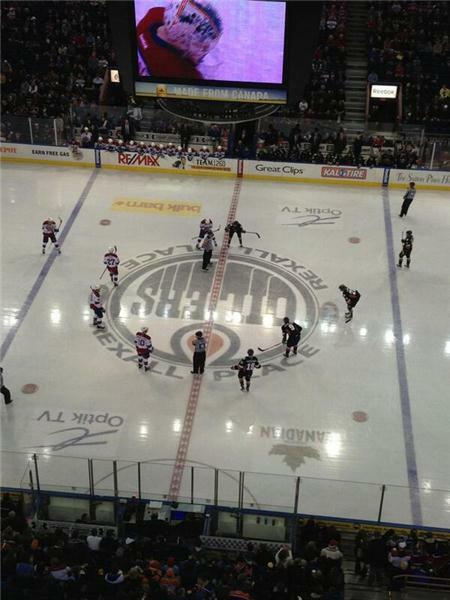 The Edmonton Oil Kings host the Calgary Hitmen for Game 7 of the 2013 Husky WHL Eastern Conference Championship series in WHL playoff action on Tuesday night. Sports reporters from both Global Edmonton and Global Calgary are offering their insight on the game in a live blog. Tuesday’s match-up between the Oil Kings and Hitmen can be seen live throughout western Canada on SHAW and SHAW Direct channel 299 (7:00 p.m. MT). OKPK holds and kills the first penalty of the night - still scoreless through the first 6 mins. St. Croix scoops up the bouncing puck in front of Driedger and pots his second of the night to make it 2-0 Oil Kings. in game 7 of #whlab. 2 goals. Kings lead 2-0 with 12 min to go in 2p. Mitch Moroz gets his elbow Chase Clayton along the boards. Both are sitting in the penalty box. Hitmen to power play. Moroz gets extra. 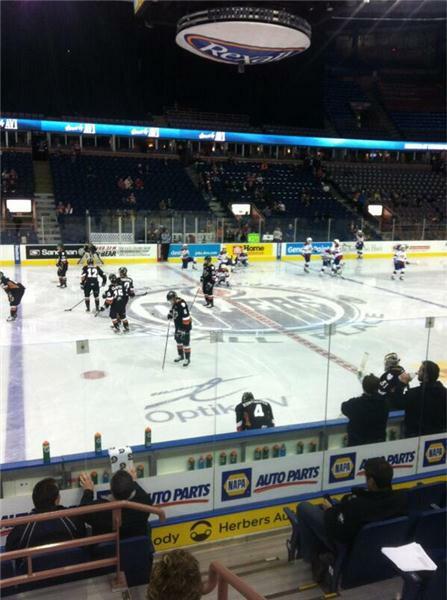 The #WHLHitmen couldn't score on the first opportunity, but they are back on the PP. Moroz sitting for two minutes for elbowing. The #WHLHitmen couldn't score on the first opportunity, but they are back on the PP. Moroz sitting for two minutes for checking to the head. Another unreal midweek crowd! 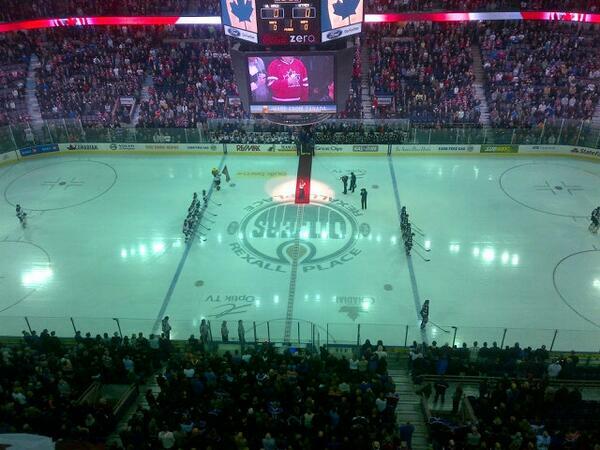 10738 hockey fans on hand at Rexall Place for the #OilKings #BattleOfAlberta #ThankYouFans!